Yet there is something powerful in its impact on self-deluded believers in the goodness of U.S. wars about the fact that the United States tried to spread diseases like bubonic plague in North Korea. So, it’s worth spreading awareness that this indeed happened. A great help in that project has just been provided by Jeffrey Kaye, who has just posted online an important report that has been largely unavailable for decades. 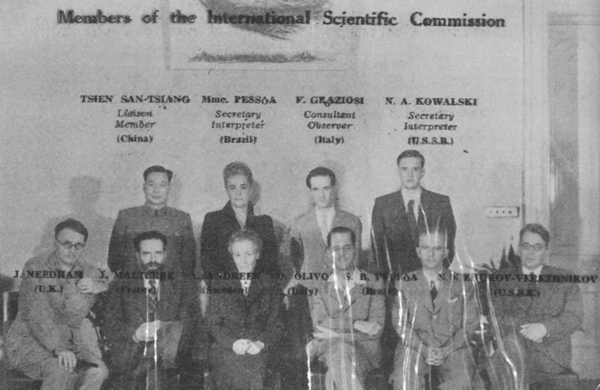 The report was produced in 1952 at the request of the North Korean and Chinese governments by a commission that included prominent scientists from Sweden, Brazil, France, and Italy, and was headed by Sir Joseph Needham, one of the most prominent and respected British scientists ever. (His New York Times obituary doesn’t say whether the commission’s conclusions were accurate. His Independent obituary suggests that the commission got it right. His WikiPedia entry predictably announces that the commission was completely wrong, and backs this up with that popular WikiPedia citation: “citation needed.”) Yeah, it just became even more badly needed. It played a larger role in U.S. culture and government going forward. The latter invented the concept of “brain washing” to explain away the testimony of U.S. pilots who confessed to their participation in bio-warfare. Then the CIA spent many years (and cost many lives) absurdly trying to actually do what it had ridiculously accused the Chinese of having done. That the United States protected and built on the work of Japanese war criminals is unwelcome information in the United States. That it attempted to create deadly disease epidemics in North Korea is even more unwelcome. Oddly, as Kaye points out, it may be yet more unacceptable in the United States to know that Japan experimented with bioweapons on U.S. prisoners of war. And I suspect that the most un-allowable fact of all is that the U.S. bioweapons program weaponized and spread Lyme disease in the area of Old Lyme, Connecticut, from which the disease subsequently took its name. It has, of course, been spreading rapidly. As I’ve previously written, the propaganda struggle during the Korean War was intense. The support of the Guatemalan government for the reports of U.S. germ warfare in China were part of the U.S. motivation for overthrowing the Guatemalan government; and the same cover-up was likely part of the motivation for the CIA’s murder of Frank Olson — about whom see the new Netflix film Wormwood. There is a good article, but it has been reposted in Znet with a source given as “informed comment” – that is, a blog of a infamous war-monger Prof Bomb Libya Cole. I suppose this should be fixed. Previous PostPrevious Does Peace Need a Business Plan?